Land Art is about Gerry Joe Weise, Australian visual artist and musician born in Sydney (April 23, 1959), whose style encompasses elements of Earth Art, Environmental Art, and Installation Art. Weise has lived and worked in Australia, France, Germany, Switzerland and the United States. As a visual artist he has exhibited in over 70 exhibitions, and performed as a musician in over 4,000 concerts, in Australia, Europe and the USA. The spectator will always question the artwork, hoping to find the meaning. But as Gerry Joe Weise has pointed out in past interviews: “the meaning of an individual work is insignificant, as it is only the artist’s concept, that is important”. There you have it! The artist’s concept, is the authenticity! Not the other way around, where money often dictates the opposite in today’s bustling art world. Weise also went on to state: “that there are two art worlds colliding simultaneously, both vibrating at different speeds, while occupying the same space in time. One money orientated, the other of conceptual authenticity”. He doesn’t find this situation negative, but all part of our Alter-modern existence. The positive factor in both cases being that they are both (in the majority of occasions), in opposition against today’s hyper-normalization. Now these are heavy remarks, making it very hard for us to grasp this reality, as we live right through it, in our postmodern times. But there are legions of people that share these same opinions, and documentaries are starting to be spun on these delicate subjects. Meanwhile I stand before one of Weise’s “Ground Paintings”, as I write on my laptop, pondering as to why he sprinkled those powder pigments of pure intensity, across that somber dark earth in a circular form. 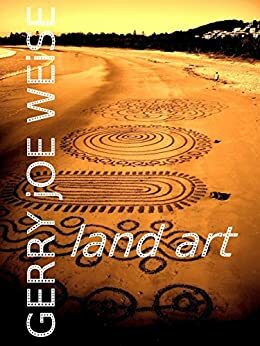 I can not help myself to contemplate his “conceptual authenticity”, using expressionism through installation, in the midst of the ephemeral in what he calls “Land Art”.